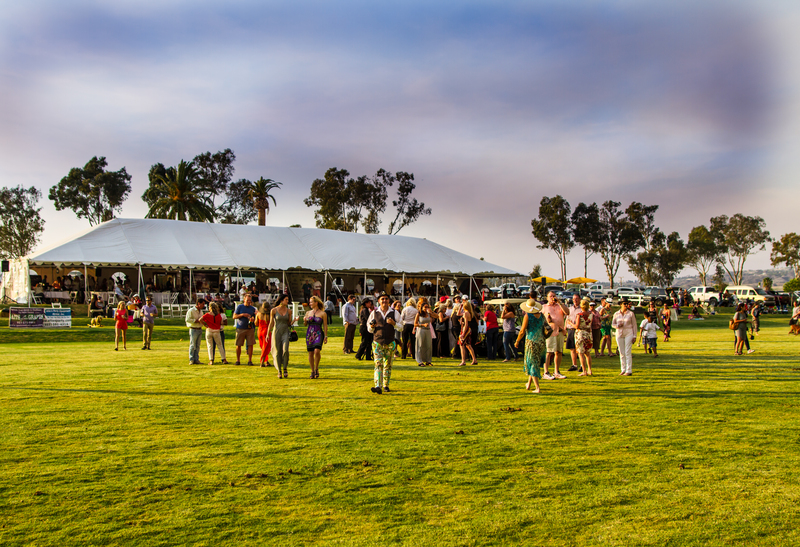 On Friday, May 16, 2014, the Temecula Valley Polo Club (TVPC) kicked off its second season with an audience of 500 spectators and sponsors. 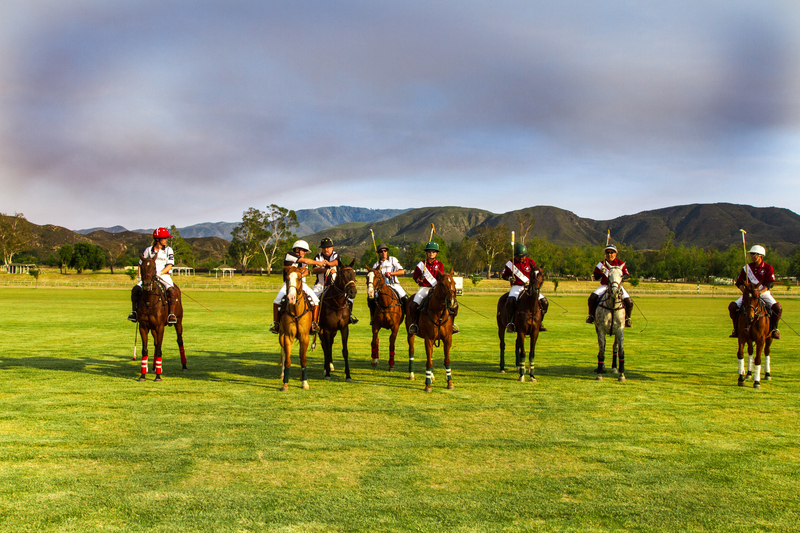 “Despite threatening smoke and winds, by throw-in time air quality conditions had improved dramatically and the event went off without a hitch.” Stated Polo player and USPA official, Scott Walker, who played in Friday’s match for TVPC. At game time, the winds through the area seemed to hold the smoke at bay. “Earlier in the day were prepared not to play, or to cancel games early, but at game time, Dr. Mike Manno and others stated the air quality good enough to let the ponies run.” stated TVPC President, Geraldine Strunsky. 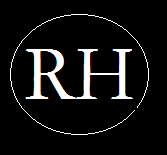 “Families, singles and couples all found the experience to be unique in the valley with many choosing to buy a social membership to enjoy throughout the six month season.” Walker said. 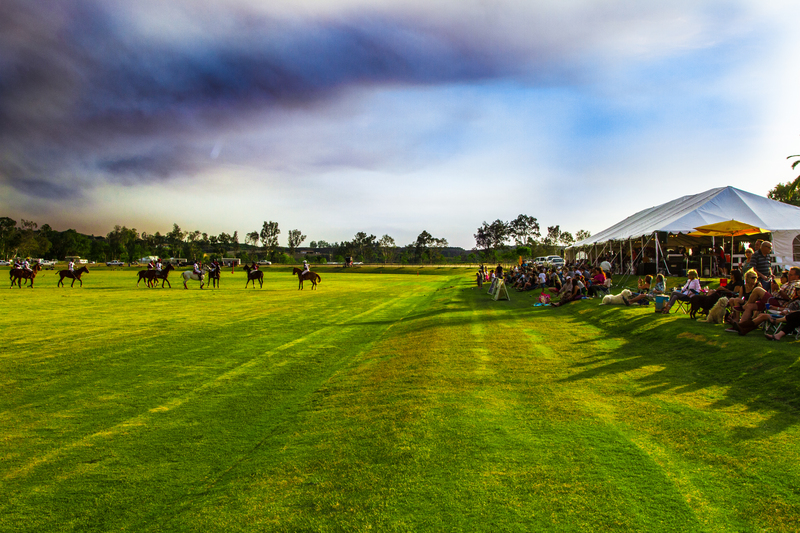 Social memberships include added benefits, such as Sunday Morning Yoga on the field, barn parties, tent access, golf cart polo, and invitations so gatherings outside of the games. For more information on ticket prices, tailgating, and reserved seating/social membership, visit the TVPC web site. 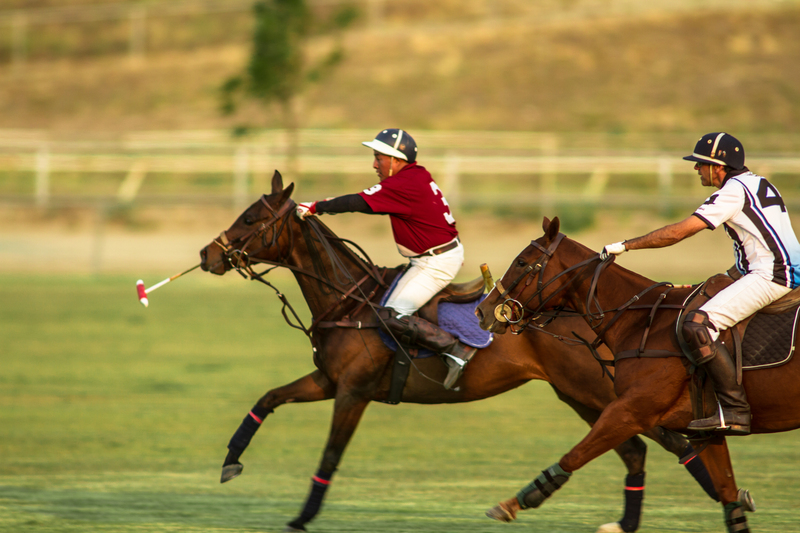 Brian and Michelle Penna had seen polo in San Diego and Santa Barbara but were ecstatic to find polo being played in Temecula. 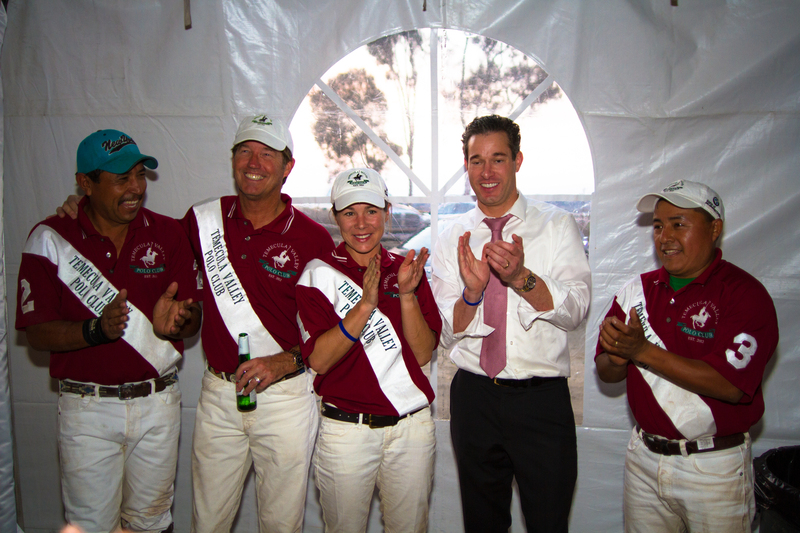 “We enjoy the athleticism of the horses and players, the fact that women and men compete together and the overall vibe of the sideline experience,” Michelle offered. 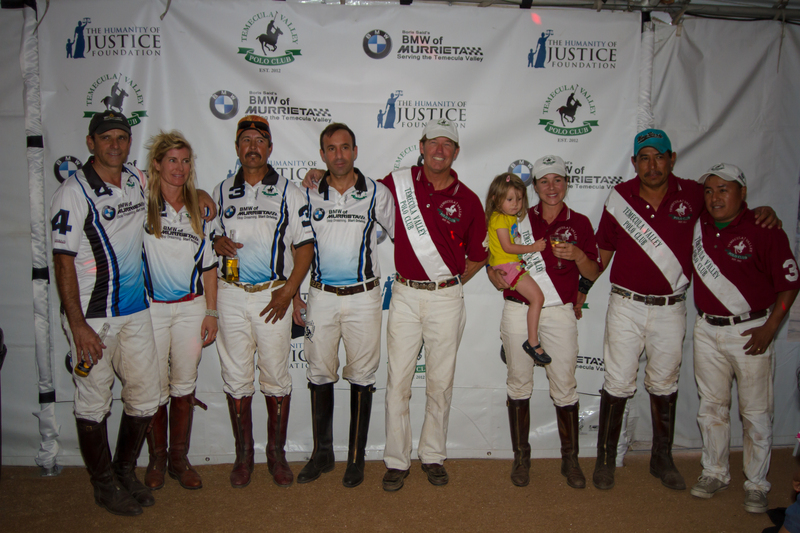 Of the match, it was a high scoring, back and forth contest between the team representing BMW of Murrieta (Matteo Di Paolis, Jessica Bailey, Manny Rodriguez, Dr. Mike Manno) and the TVPC (Geraldine Strunsky, Victor Soto, Alvaro Tadeo, Scott Walker). 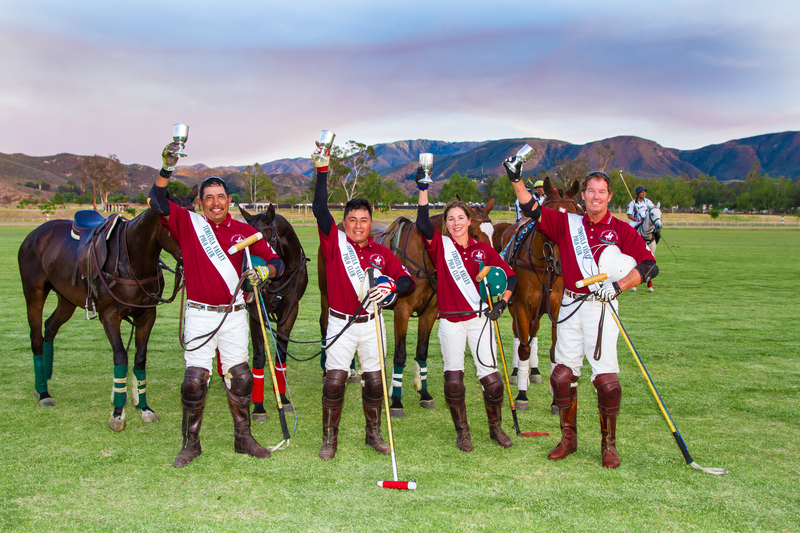 “After trading leads and a couple unplanned dismounts, the United States Polo Association Sportsmanship Cup went to Temecula Polo Club by a half-goal handicap.” Walker stated. 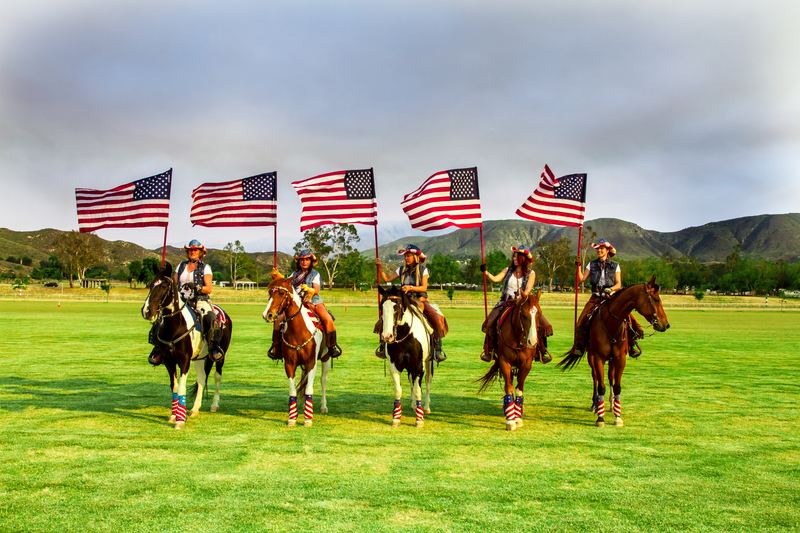 Both social members and sideline “tailgate” fans enjoyed some fast polo action, a half time divot stomp, photo ops with horses and players, a full bar sponsored by Baily’s Old Town Temecula, wine tasting and DJ inspired music and dancing. The crowd stayed and mingled until 9:30 closing and everyone had a great start to the weekend. 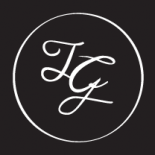 On hand, food and drink was plentiful, with offerings of Paleo braised short ribs, with delectable side dishes, and Gluten Free brownies and cookies, by Primal Cravings Catering. The crowd stayed to enjoy the bar, sponsored by Baily’s Old Town Front Street, DJ, and dancing late into the night. 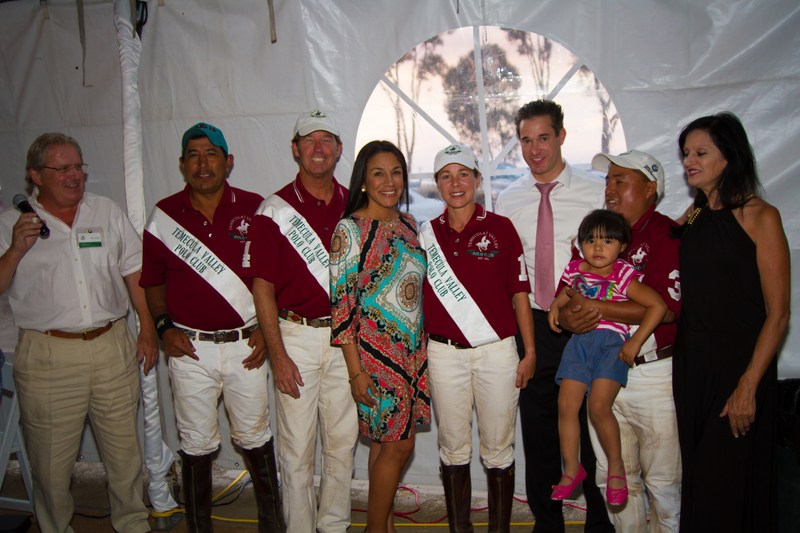 “It was a great evening, fun had by all,” Geraldine Strunsky, President of the Temecula Valley Polo Club, said. Scott Walker, congratulated club president Geraldine Strunsky for her efforts in getting the second season under way with such a bang. 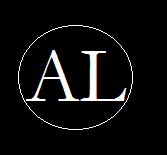 “Geraldine and her team of volunteers did an amazing job in the off season in getting the field in shape, selling sponsorships, creating the magazine/program, organizing vendors and working tirelessly to present a quality program for the community,” Walker commented. 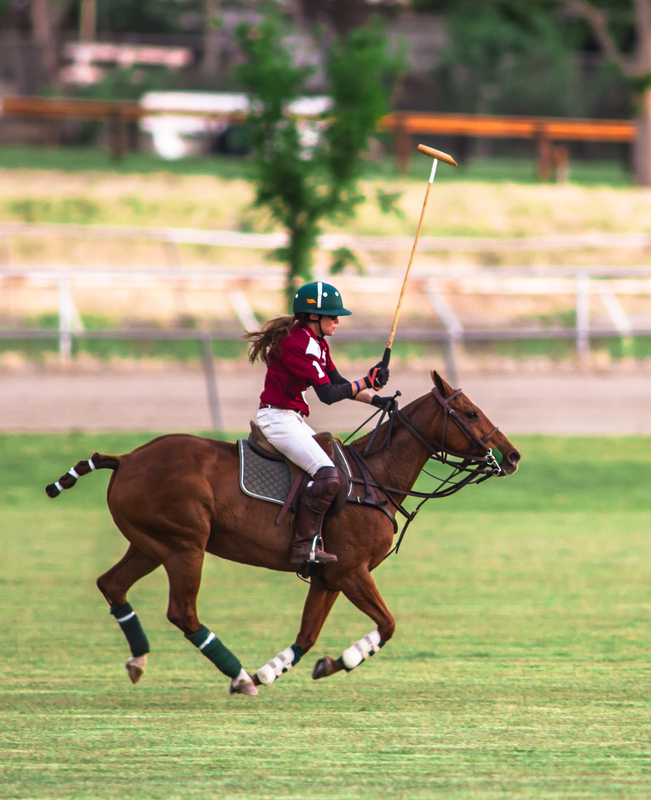 Polo will be played every Friday through summer with games at 5 p.m. until the end of August, 2014, and Saturday afternoons at 3 p.m. from September through October, 2014. Additional exhibition games will be played on select weekends for charity events. 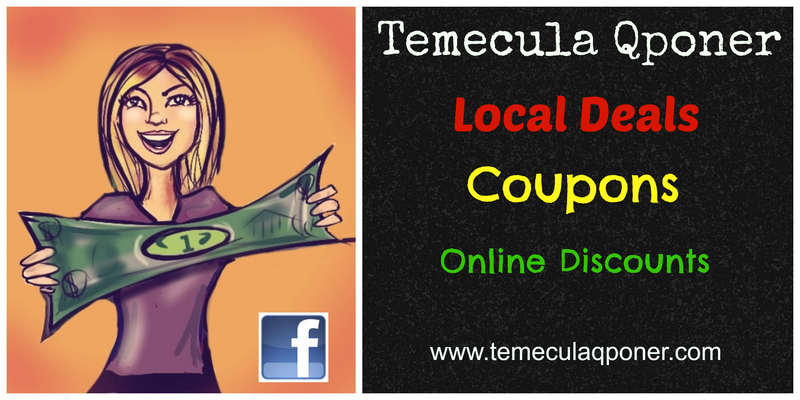 Local business sponsors include Baily’s Old Town Temecula, Europa Village Winery, Doffo Winery, Southcoast Winery Resort and Spa, Rockstar Energy Drink, and BMW of Murrieta. 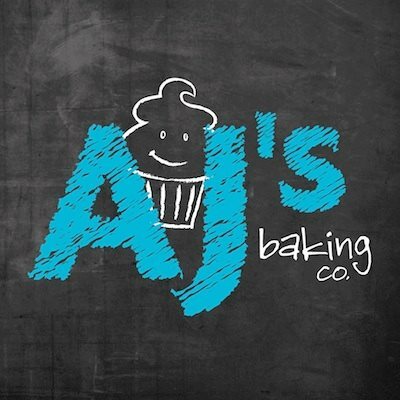 This entry was posted on May 19, 2014 by Ashley Ludwig in 2014, Breweries, City of Temecula, Doffo, Entertainment, Europa Village, Events, I heard it through the GrapeVine, News, South Coast Winery, Wine Country and tagged Alvaro Tadeo, Baily's, Doffo winery, Dr. Mike Manno, Europa village winery, Geraldine Strunsky, Grass field polo, horse country, Horses in temecula, Jessica Bailey, Lea Roberts, Manny Rodriguez, Matteo Di Paolis, Membership, Polo in Temecula, Primal Cravings, Riverside County, Scott Walker, Social Membership, South Coast Winery, southwest riverside, tailgating, Temecula Valley Polo Club, Things to do in Temecula, United States Polo Association, Victor Soto.